Mental health is a big issue these days and in no place is this more visible than on the web. Just Google “depression” or “anxiety” and you will find plenty of resources from reference pages to personal and professional blogs and of course, support forums. Millions of people are out there looking for relief from overwhelming emotional problems that interfere with their ability to live life to the fullest. The holy grail of recovery is finding that perfect therapist. Even if you’ve never considered therapy, you know exactly what I’m talking about. That therapist whom you just “click” with, whose empathy and compassion knows no bounds, who is never disappointed in you or angry with you, that therapist who really cares. But are these the traits we really want in someone we are hiring to help us change our thoughts and behavior? Sure, to a certain extent patience, empathy and compassion are essential to a good therapeutic relationship, but I believe that most people walk into their therapist’s office on that first day expecting something that psychological counseling is not, and our sacred quest to find the “perfect therapist” is seriously hindering our recovery. But why do we all seem to agree on what the perfect therapist looks like, and why is it so common for people with mental health problems to report spending years trying to find this person, sometimes to no avail? The most popular answer to the latter question is that there are a lot of bad therapists – and there are – but there are a lot of excellent therapists, too. Our expectations of what a good therapist should be and the reality of what a good therapist is are not aligned. What causes this disconnect? Why, what is the most common culprit when it comes to misrepresenting reality and warping our expectations in the extreme? The answer of course, is popular media. If I refused treatment from a competent doctor because he wasn’t very much like House M.D., or pulled my kid out of emergency surgery because “that’s not how they did it on E.R.”, you’d probably think there is something seriously wrong with me. Everybody knows that those scenes on TV and in the movies are created for dramatic effect and do not by any means represent reality. But this piece of common knowledge seems to elude us when we imagine what counseling and psychotherapy should be like. Our heads are full of images of Deanna Troi reassuring us that we are brilliant, outstanding individuals that the future of the entire quadrant depends on, or Jennifer Melfi blaming our mothers for all of our present shortcomings. We think therapy is all about dumping a laundry list of problems and biographical anecdotes on our psychologists and waiting for them “figure us out”. The truth is, nobody is ever going to be able to figure you out. Your brain is one of the most complicated things in the known world, and while it’s certain that your past experiences shape who you are, realizing that that time you peed yourself in gym class was where everything started to go wrong isn’t going to get you very far toward your goal of recovery. Really, would you be happy enough with a doctor who is able to correctly identify the mosquito bite that caused your malaria infection, or would you prefer to actually undergo treatment for malaria? This is where I blame movies and television for giving us an unrealistic and romanticized idea of what mental illness and recovery is really about. 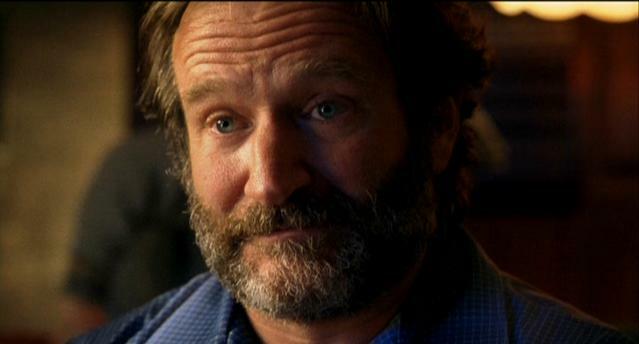 In Good Will Hunting, Matt Damon doesn’t respond to all those foolish psychiatrists who try to lecture him about his thoughts and behavior and how they affect his quality of life. Granted, nobody responds well to condescendingly being told they’re doing it wrong, but the point is that nobody really “gets” Matt Damon and that’s why he just can’t work with these people. His case requires a very special and unique approach because he’s such a special and unique kind of guy. 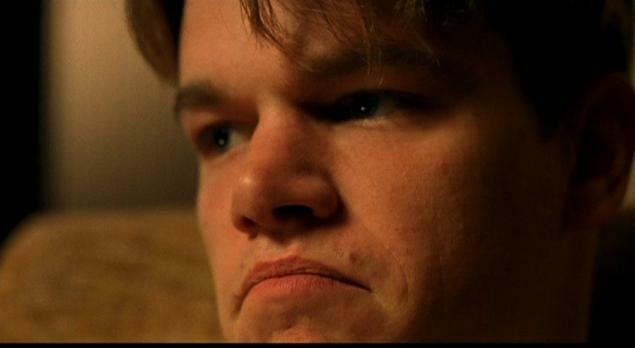 And of course we all see a bit of ourselves in Matt Damon. Brilliant, misunderstood, feeling as though too many external factors that are out of our control are contributing to our shameful lack of respectable accomplishments. So we take from this that we, too need to find that “special someone” whose passion and compassion will break through our impenetrable barrier of wit and sarcasm and compel us to tell them our deepest darkest secrets in a series of emotionally charged and melodramatic interpersonal exchanges, culminating in a glorious recovery that is somehow a byproduct of hours of meticulously examining the events of our past. We imagine a magical light bulb moment wherein we finally come to understand ourselves and all of our psychological problems will melt away. But it doesn’t work that way. Therapy is about identifying problems and fixing them, not talking about yourself ad nauseum until some light bulb turns on. You are there because your thoughts and behavior are causing you significant distress and your therapist is there to teach you skills to help you change your thoughts and behavior. So while it’s great that you’ve identified that you have low self esteem, you’re not really going to improve it by dredging up all of the things from your past that reinforce those self deprecating thoughts. Your therapist should listen to your concerns and validate your feelings, but you are not utilizing them as the valuable resource they are if you spend your precious couch time recalling every last detail about that day in first grade when Billy stole your lunch money. In movies and on television, therapists and psychiatrists prod their patients for myriad personal details until one seemingly inconspicuous little symbol comes to light which blows the whole case out of the water and voila, the patient and all of her problems have been explained. This matters on television because it’s a fictional narrative and characters like Tony Soprano’s doctor Jennifer Melfi serve as cheat sheets for those of us that haven’t been paying attention. They explain the character’s motivations to us, point out the show’s themes and symbols, and of course present an easy way for the writers to tell us exactly what Tony Soprano is thinking and feeling about events and people on the show. What the Jennifer Melfis of television don’t do is actually treat their patients for their mental health problems using evidence based treatment plans, you know like actual doctors. The ones that exist in real life. Does this mean you don’t want to look at my etchings? This belief hinders our recovery. There is absolutely such a thing as a mismatch when it comes to a therapist/patient relationship, but to say it plainly, our standards are too high. The fact of the matter is that, in a relationship as intimate as this, there are going to be bumps in the road. Sometimes your therapist will say things that upset you, and sometimes you will say things that upset your therapist. That doesn’t mean the relationship has to end, and it doesn’t mean you have a bad therapist. It means you’ve just been given an opportunity to improve your interpersonal skills by working it out. If you’re searching for a responsible treatment provider who will forgive you anything and reward you for maladaptive behavior, you’re going to be in mental health limbo for a long, long time. Katherine is a lot of things. She lives in Los Angeles.